Dianthus barbatus is commonly known as a biennial, a plant with a two year life span, but because it can self-seed so easily it can be considered an annual. However, many people prefer to simply buy cold treated plant in the spring and grow them as annuals. As previously mentioned the Sweet William can be propagated by seed but also by division. The plant typically grows to be between one to two feet tall with smaller flowers in a dense, flat-topped terminal cluster that are between three to five inches wide. Sweet William has an upright, round shaped growth habit. Also by placing several plants together you can create a very nice mass of foliage and flowers. Dianthus barbatus does prefer to grow in a full sun to a part shade environment with well drained, slightly alkaline soil. 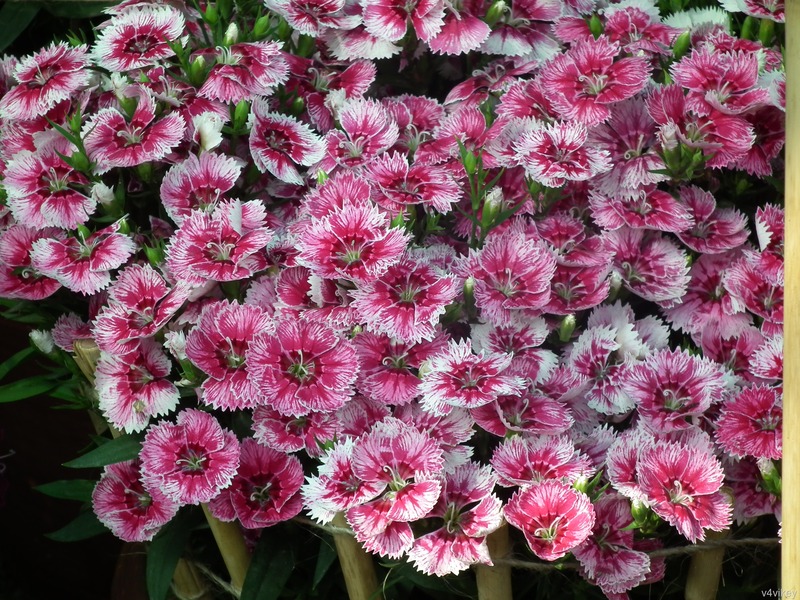 A good tip is to add some lime into the planting soil and the Sweet William will be a much healthier plant. This entry was posted in Flowers Wallpapers and tagged Dianthus, Dianthus Caryophyllus, Dianthus Flowers, Flower Wallpapers for Desktop, flowers, flowers arrangement, Flowers Wallpapers, Photography, Pink White Dianthus, small flowers, Sweet William, Sweet William Flower, Wallpapers.